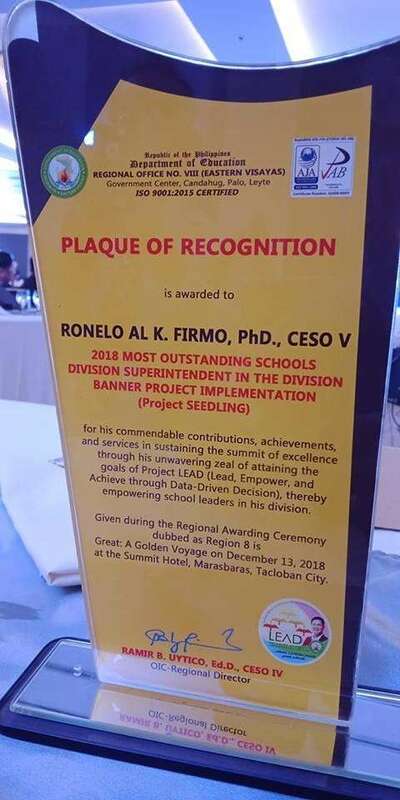 DR. RONELO Al Firmo is this year’s “Most Outstanding Schools Division Superintendent” in the division banner project implementation in the entire Department of Education (DepEd) in Eastern Visayas. 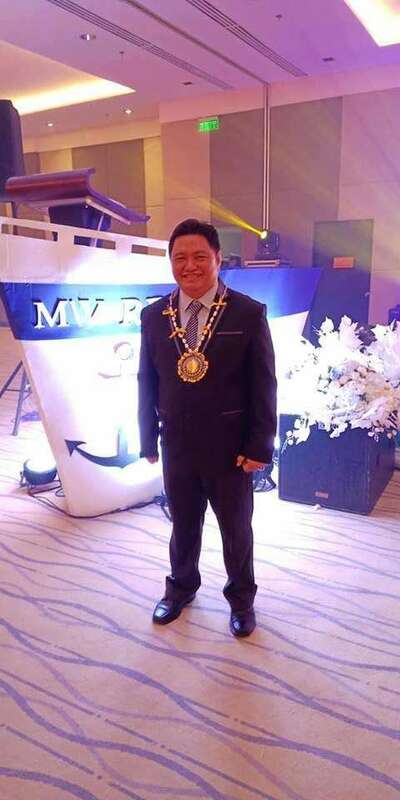 Firmo, 45, received the award on Thursday, December 13, during the “Region 8 is Great: A Golden Voyage” recognition ceremony at the Summit Hotel in Tacloban City. 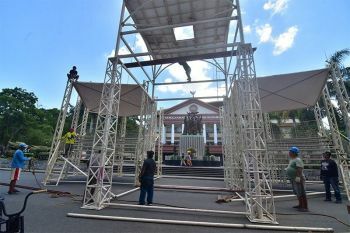 “Thanks a lot to my DepEd Leyte Division family, most especially to my wind beneath my wings, Assistant Schools Division Superintendent Marilyn Siao, Assistant Schools Division Superintendent Edgar Tenasas, the School Governance Operations Division family headed by Dr. Rhodelia Orbino, the Curriculum Implementation Division family headed by Mrs. Felicidad Espinosa, and to my SDS Office family,” said Firmo while thanking the support of the entire teachers and personnel in the division. “We will continue strengthening our team to always support our Schools Division Superintendent in delivering our organization mandates to our respective customers,” Siao added. During the awarding, Firmo also expressed his gratitude to DepEd regional director Ramir Uytico and assistant regional director Fiel Almendra. In 2016, Uytico initiated the launching of the Project Lead pursuant to Republic Act No. 9155 or the Governance of Basic Education Act of 2001. The initiative aims to encourage the 13 divisions in the region to come up with their own banner project, highlighting the role of the school leaders in the local level in terms of the crafting and the delivery of basic education policies, principals and services that suit to the needs of their community.